An early start for the swimmers which meant I got to sleep past 5.30! Sorry readers this little swimmer opted out! Too chilly for me with no wet suit. Jill and Chris picked me up and we checked out the local markets and had coffee before heading to Tapakuna Beach north of Auckland. Lots of local fish at these markets. We arrived in time to see Kim David and friend Adam line up for the relay. 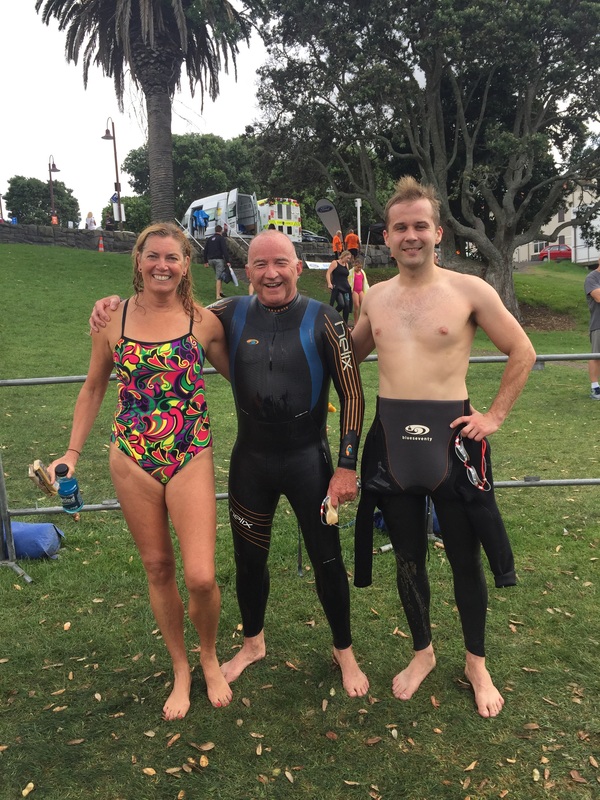 Steve had finished his 3.5 km swim and the shoulder was fine. He was happy so that means I was happy too. The day was a little grey with sudden showers but not too cool. I think it’s clearing for our drive to the Coronandel this afternoon. 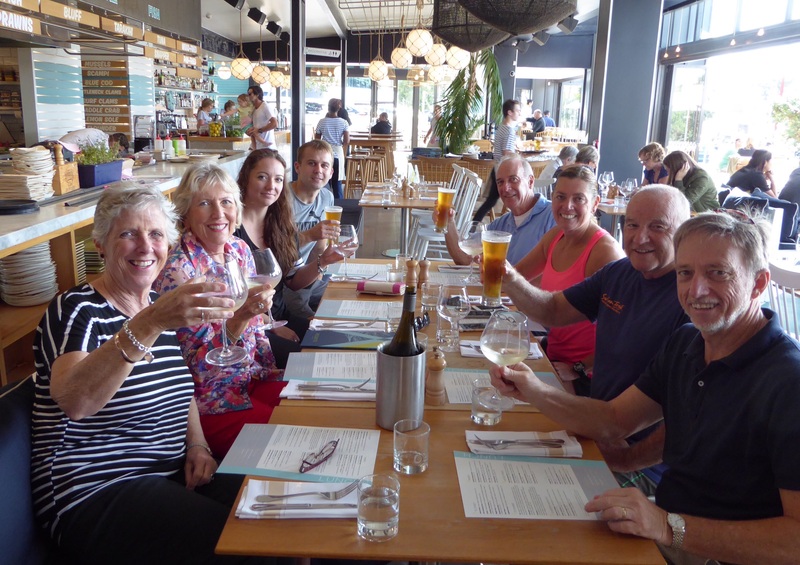 We had a great farewell lunch at a restaurant overlooking the bay and decided NZ offers great food and wines and we could easily stay longer than the 5 days we’ve allowed. Chris drove this afternoon as Steve enjoyed one beer too many in celebrating his swim and we hit the road about 2 pm. It was a lovely drive down and luckily no rain. The roads were winding through green rolling hills and was chocolate box perfect. 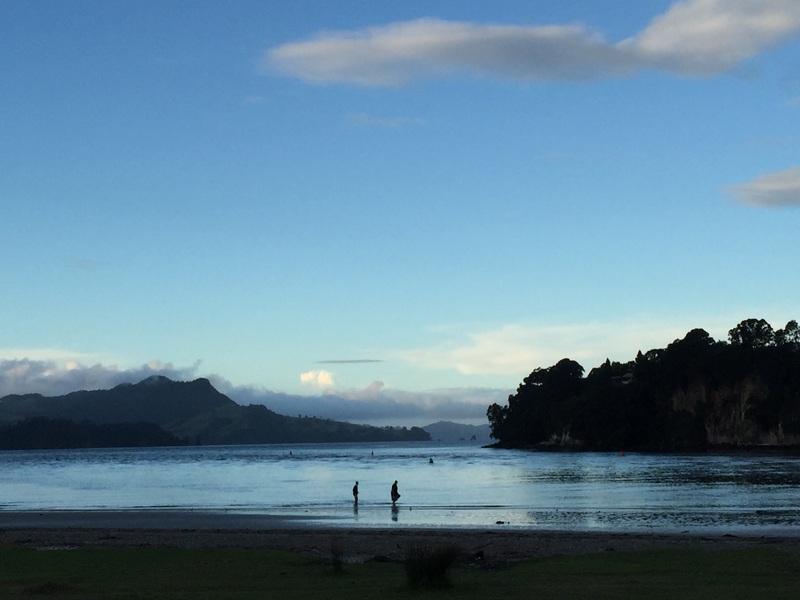 NZ ……. Sigh! Beautiful. 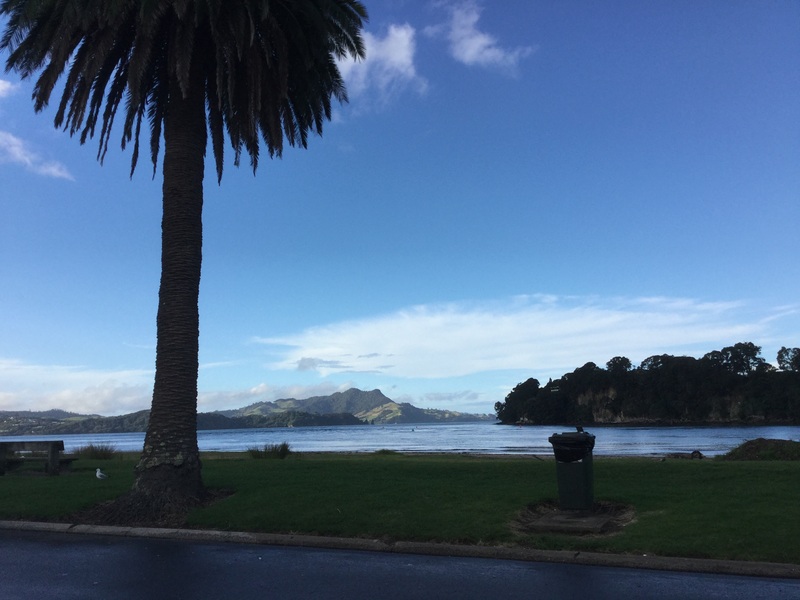 Got to Whitianga around 5 and found our slightly odd accommodation. It’s a B&B but is inside a 3 bedroom apartment in a largish complex. Seems we share it with Diana. Lucky for us Diana is dog sitting tonight and has left the keys and the apartment for our exclusive use! 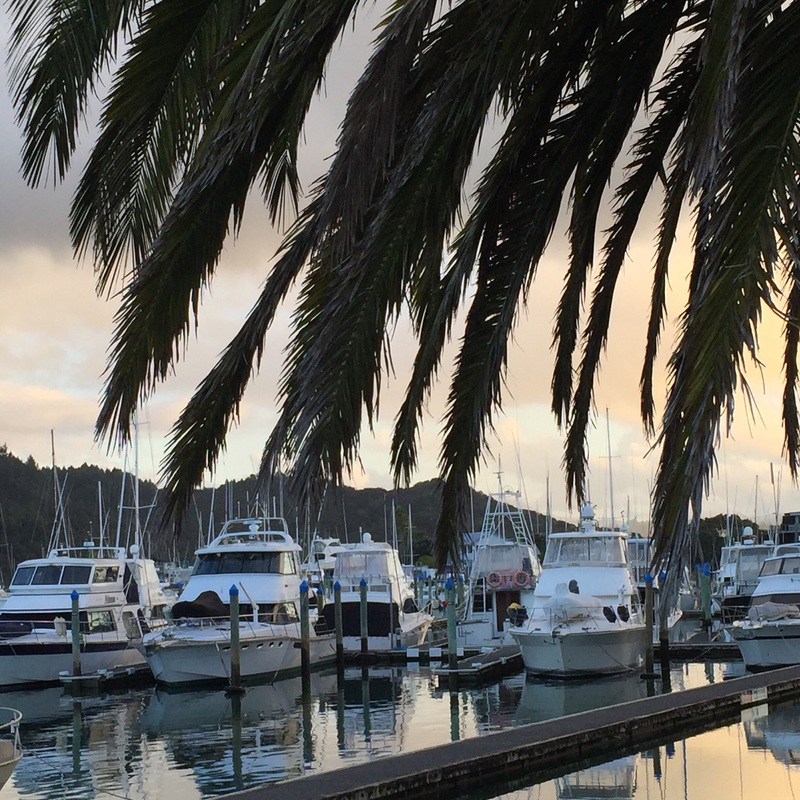 Whitianga is a laid back peaceful port and turned on a beautiful afternoon for us as we wandered around the foreshore and found a place for a sundowner. Steve was more than tired by now after his early start and big swim so we made a fairly night of it. Of course we checked out Lost World Spa and decided tomorrow we would start with the thermal pools of the spa before moving on. These warming pools are very sort after in this area and we had a choice of taking a shovel to Hot Water beach and digging our own spa in the sand and lying in it or going to Lost World and lounging in their pools. We checked it out yesterday and it looked very tropical lost worldish and thought that was easier than taking a shovel to the beach. So tomorrow a little account of us ‘taking the therapeutic waters’ of the thermal pool. Could be interesting.